Robert Mark, a 35-year aviation-industry thought leader, is Chief Executive Officer ofCommAvia, a marketing-communications group that delivers …leading edge media to the aviation industry. Mark is the Editor of AINSafety, a weekly aviation safety magazine published by Aviation International News. He has twice won the covetedAirbus Aerospace Journalist of the Year award at the Paris Air Show, as well as the National Business Aviation Association’s 2010 Award for Outstanding Journalism. 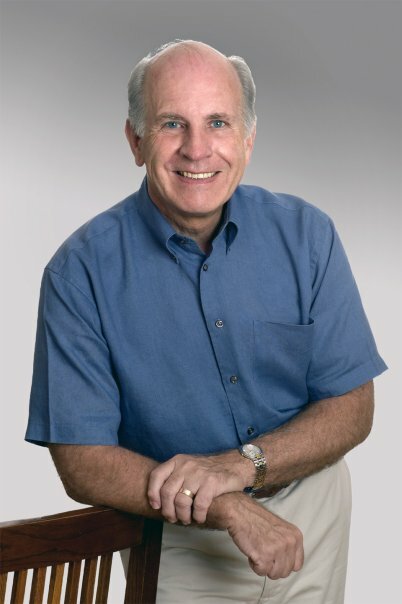 He is the author of four McGraw-Hill books, the most recent being the second edition of a Professional Pilot Career Guidepublished in June 2007. Robert Mark and his Editor Scott Spangler, publish the award-winning, syndicated aviation blog Jetwhine.com as well as co-host and co-produce the weekly aviation radio show, The Airplane Geeks. He’s a regular aviation contributor to Fox News and CNN, having appeared on both Fox’s Geraldo at Large, as well as CNN’s In the Arena with Elliott Spitzer. Mark has been featured on NBC, PBS, as well as WGN and KFI radio. An adjunct faculty member at Northwestern University’s Medill School of Journalism, he teaches Marketing/Public Relations and Communications Skills/Persuasive Messaging focused around traditional and emerging media. Mark, a commercial pilot, has logged 7,000 flying hours in airliners and business-jets, as well as dozens of small training aircraft. He says the most fun was a few hours in the captain’s seat of the mighty Airbus A380. Robert Mark also spent 10 years as an air traffic controller and supervisor with the Federal Aviation Administration (FAA). A professional speaker, Rob Mark has engaged audiences on a variety of aviation business marketing topics at regional, as well as national convention meetings for the Business Aviation Meet-Up at RAF Northolt in London, the American Association of Airport Executives (AAAE), the National Air Transportation Association (NATA), the National Business Aviation Association (NBAA), the Aircraft Owners and Pilots Association (AOPA) convention, Cessna Aircraft Company, the Wichita Aero Club, both the Florida and Minnesota Aviation Trades Associations, as well as the Texas Department of Transportation. He received his Master of Science degree from the Integrated Marketing Communications program at Northwestern University’s Medill School of Journalism and was awarded a Bachelor of Arts degree in English by Northeastern Illinois University. Mark is a member of the National Business Aviation Association (NBAA), the General Aviation Airport Coalition (GAAC), The American Society of Journalists and Authors (ASJA) and the Mystery Writers of America (MWA). Contact Robert Mark at rmark@commavia.com, or rob@jetwhine.com. By phone, ring 847-864-9780. You’ll also find Rob Mark on Twitter at: “Jetwhine,” on LinkedIn.com at “Robert Mark” and on SKYPE at: commavia. Pat Flannigan is an airline pilot and founder / editor of AviationChatter.com. He has been flying for 15 years and writing about it for three. When not flying, Pat develops iPhone apps and sportscasts video games. My business aviation experience extends over 10 years including purchasing, sales, marketing, social media, and management and I continually strive to be at the forefront of all marketing mediums. I currently specialize in aviation marketing which has laid a foundation for advancing small business. I realized that in order to produce optimal results, it’s imperative to have a vast understanding and knowledge for marketing. In the event that you're looking to grow your business through marketing development and social media strategies, please feel free to contact me. 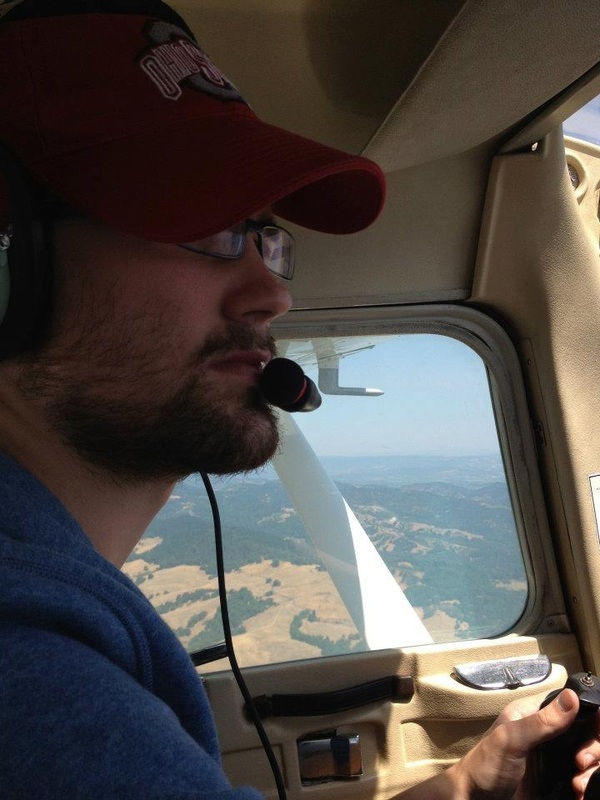 Jacob is a developer, pilot, husband, and friend. Along with recently becoming a first time aircraft owner, Jacob is merging his passion for aviation and software by developing useful tools for students and pilots. His first two projects, http://fsxflight.com/ and http://weatherbrief.me, have just launched and he looks forward to developing many more. Ryan Braun has been dreaming about technology and aviation for as long as he can remember. One became a vocation he is passionate about, and the other a passion he advocates. A string of his own businesses and Silicon Valley startups led Ryan to found OnCron Engineering, Inc. (http://www.oncron.com), a boutique contract engineering firm. 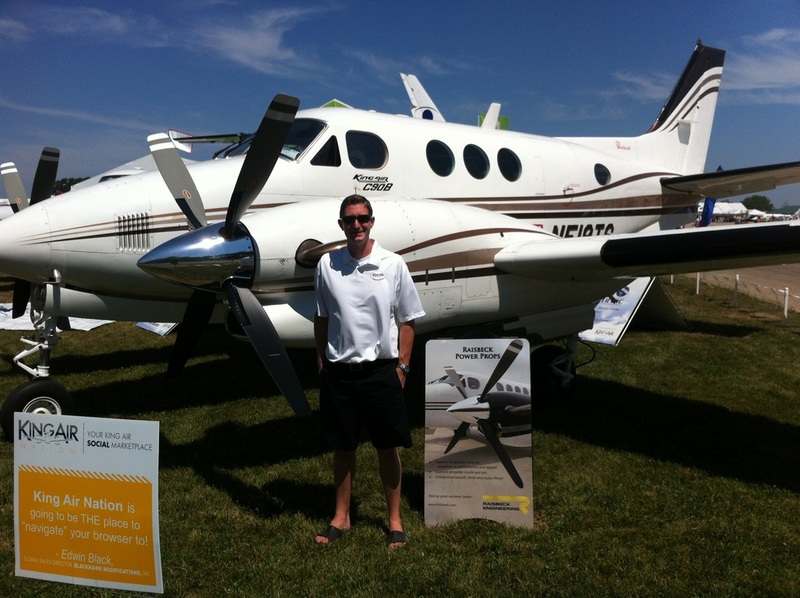 A Private Pilot since 2005, Ryan is constantly daydreaming about where flying can take him next. He has been privileged to be a part of two of the finest flying clubs in the country; first Green Castle Aero Club in Iowa, and now Leading Edge Flying Club in Chicagoland. While dissimilar in aircraft and setting, both provide an incredible atmosphere to encourage and inspire aviation dreams. 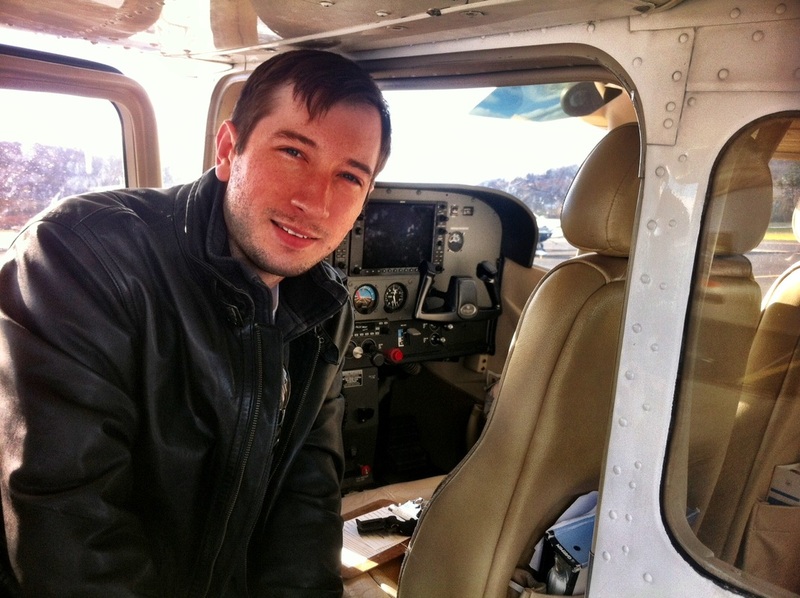 Always looking for an adventure, Ryan has recently begun his instrument training and hopes to use it to expand both his business and pleasure flying. Len Assante is Vice President Communications of Aviation Access Project. 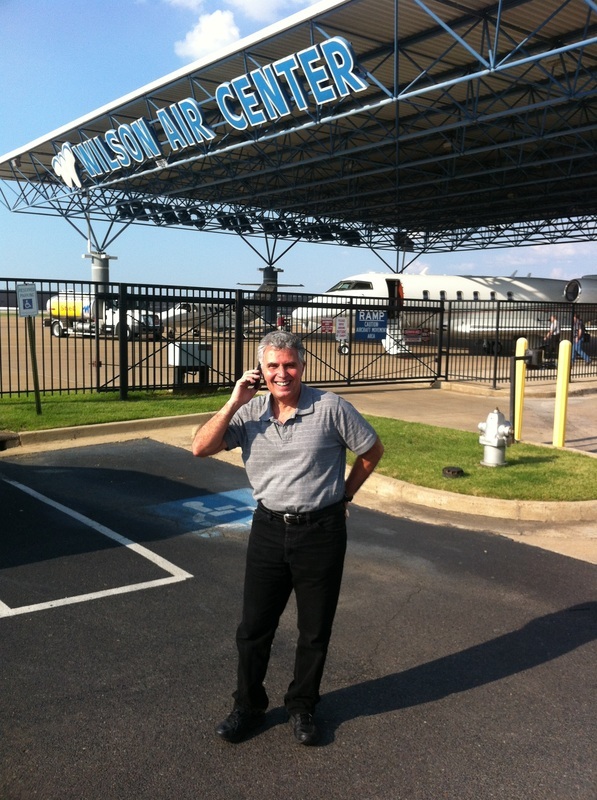 A private pilot for 30 years, Len teaches communication at Volunteer State Community College near Nashville, TN. He is Vice President of EAA 1343 and AOPA's Airport Support Network Volunteer for M33 (Sumner County Regional). He owns and flys a Cessna 150. Ian Hoyt is a 19 year old Ohio University student with high expectations to help the aviation industry succeed in the future. His love for aviation, flying, and entrepreneurship has been a lifelong devotion and journey and has resulted into where he is today. He loves every aspect about the art of flying, and has made a personal commitment to sharing the love with anyone interested. With that being said, his passion is to flourish in the aviation industry as a pilot and a businessman. He feels that his ability to connect with fellow aviators makes choosing the aviation sector as his canvas for life, a no brainer. Ian look’s forward to meeting anyone in aviation and has a passion for helping people find their road to personal success. He lives by, and believes that “every accomplishment starts with the decision to try.” He challenges every person to pursue their dream, because in the long run you will be happy knowing you are living life to the fullest, as is he! Aviation and computing have been Keith’s core focus for the past 25 years. He started out with SubLogic Flight Simulator II on the Commodore 64 as a young boy and never quite grew out of it. Keith brings a combination of passion for aviation safety with a deep technical background in software development, networking and system architectures that allowed him to envision and subsequently develop PilotEdge. Keith served as the VP of Pilot Training on the popular VATSIM network and developed a pilot training system that has been utilized by more than 800 pilots to date. John Fiscus is the Chief Pilot for The Flight Academy, a Cirrus specialized training school with bases in Seattle and Las Vegas. John taught at the Cirrus factory in the first few years of production and went on to co-found The Flight Academy with a fellow factory pilot in 2002. John and his crew travel around the world teaching Cirrus pilots how to get the most out of their airplanes while maintaining the highest level of safety. through its web site, forums and iOS and Android mobile apps. communications engineering, IT, and management. Born and raised in northern England, Adam obtained degrees in modern history and museology from the University of Leeds, England and the University of St. Andrews, Scotland. Adam worked for the Experimental Aircraft Association in Oshkosh from 2001 until 2012 where he oversaw the operation of the EAA AirVenture Museum, aircraft operations, youth education programs, membership programs, Chapters and publications. He also organized the program of features and attractions at the annual AirVenture fly-in. He recently joined AOPA as senior vice president of the Center to Advance the Pilot Community. The Center has been created to stop the slow, steady decline in the number of certificated pilots in the United States and seek ways to stimulate growth. Adam currently owns a Cessna 180 and a clipped-wing J-3 Cub, and is building a replica of a World War I Sopwith Pup using original plans. 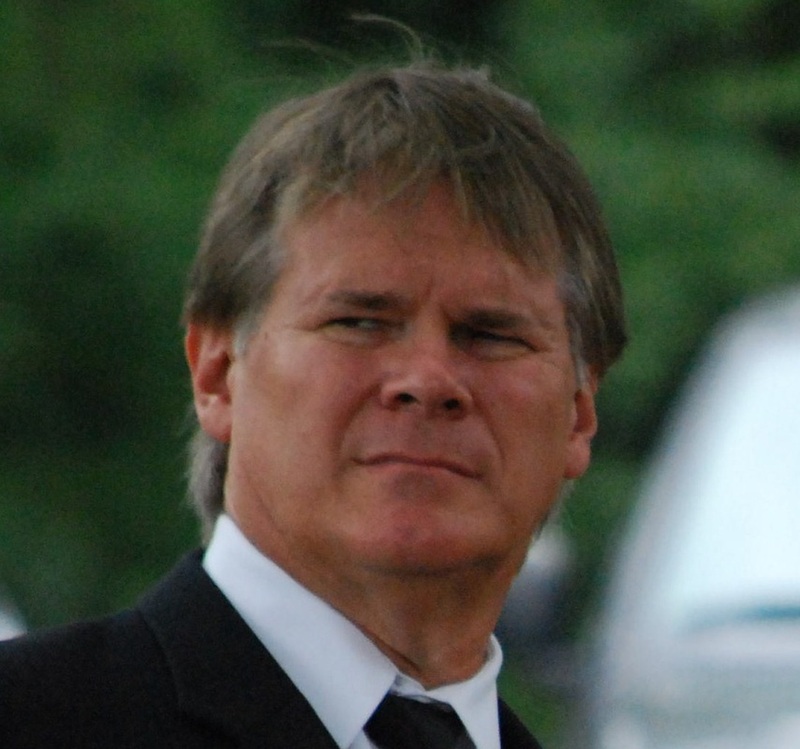 Darryl J Kimball is a commercially rated helicopter pilot with over 1600 hours in turbine powered helicopters. The bulk of his flight time was in the MD500 series helicopter. He also has experience flying the Bell 407 helicopter. 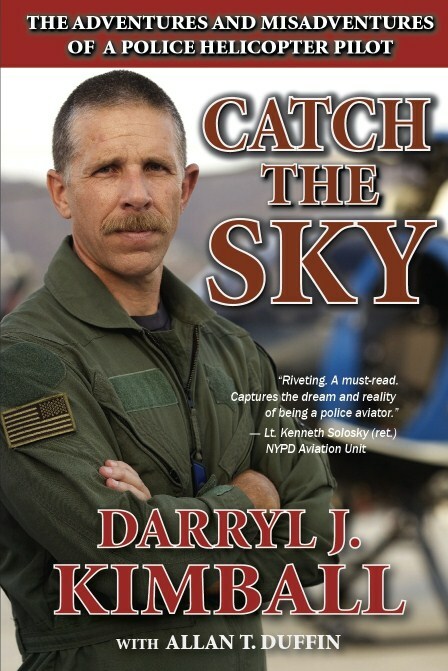 Originally from the small town of Oktaha Oklahoma, Darryl spent a little more than five years assigned to the San Diego Sheriff's Aerial Support Unit, (ASTREA) as both a tactical flight officer and a pilot. He promoted out of the unit in July of 2010 and is currently assigned to patrol in San Diego's North County. Darryl maintains a blog about flying police helicopters at, www.policehelicopterpilot.com He has posted several articles on the site devoted to teaching others how to become a police helicopter pilot. It is possibly the best information available anywhere on the topic. Download a copy of CATCH THE SKY here! Bob Schmelzer is a Chicago-area designated pilot examiner, a United Airlines captain and Boeing 777 line check airman. He has been an active gold seal flight instructor since 1972 and is the “Checkride” columnist in AOPA’s Flight Training magazine. Bob is also a leader at the Leading Edge Flying Club, you can see him regularly giving flying lessons and check rides. Read all of Bob's AOPA Flight Training Articles Here! 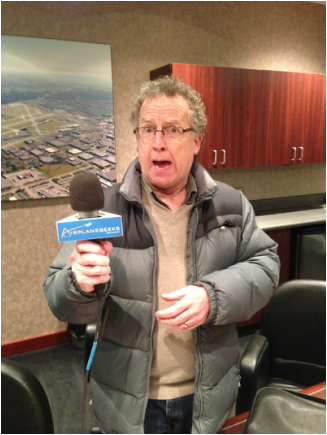 Jim started his Air Traffic Control career at O'Hare tower in 1982. Since then he has been committed to making aviation safer. Jim is a private pilot with an instrument rating. He enjoys flying up to northern Wisconsin and spending time with his family. Dave has had a great career in aviation. He has managed many Air Traffic Control Facilities in New York State including Ithica, Albany and now JFK Tower. 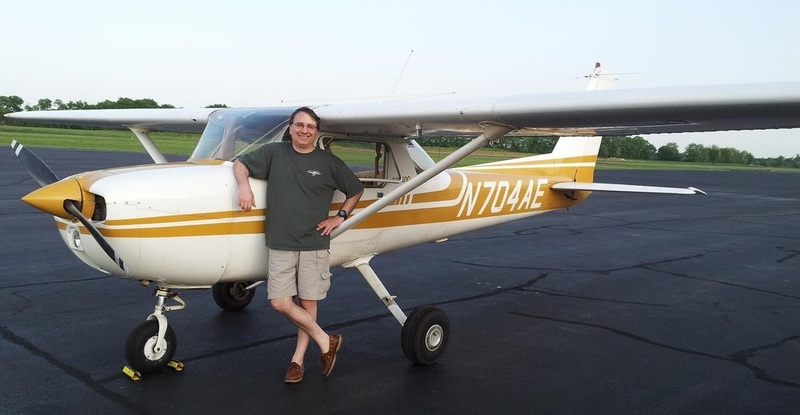 Dave is a private pilot, enjoys flying and spending time with his grandchildren. As long as I can remember I had always wanted to fly, and though it took me a while to get there, it's been a wonderful life, especially since I founded Able Flight. Along the way I had a full career as a corporate television producer/director, and then more than 15 years as a writer and photographer for aviation magazines here in the United States and in Europe. I got my certificate as a Private Pilot in 1980 and added an instrument rating later, and in 1997 I became an owner when I found a great 1949 Ryan Navion that I restored over the years and still fly today. It has carried me and my wife on many wonderful trips, and after we adopted my dog Sophie from a rescue organization a few years ago, it's been her favorite ride as well. Charles Stites, executive director of Able Flight. 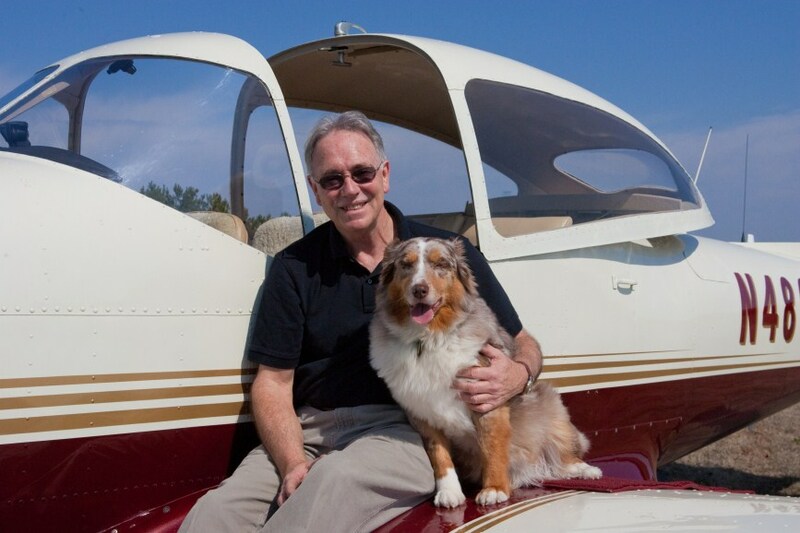 Photoed with co-pilot, Sophie, his Australian Shepherd. Todd came on to SimpleFlight Radio talking about some of the cool things he has discovered while writing for his blog and following others. MyFlightBlog.com has turned into a really cool medium to enhance the sense of community within aviation and a sense of enjoyment for Todd. We look forward to having him back on the show semi regularly to see his latest and greatest discovery! 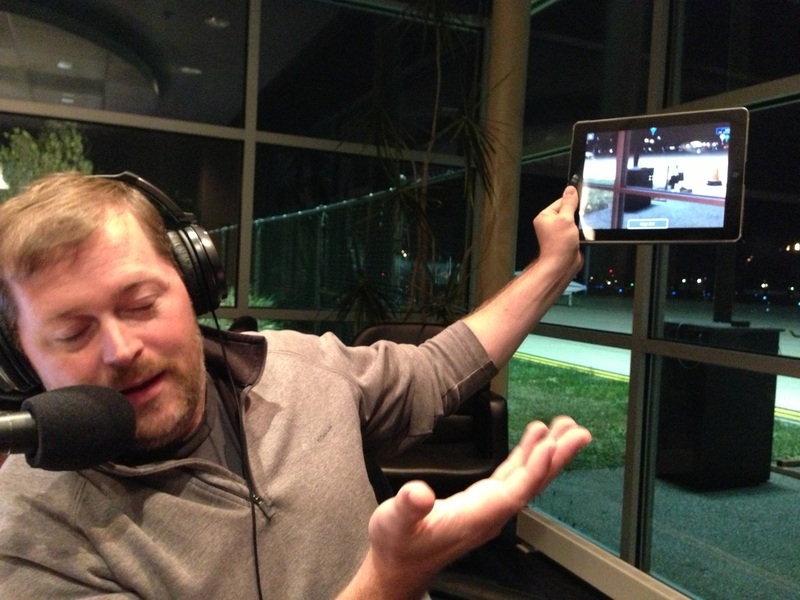 Todd using his iPad as a window to the world viewing where all of the local airports are! 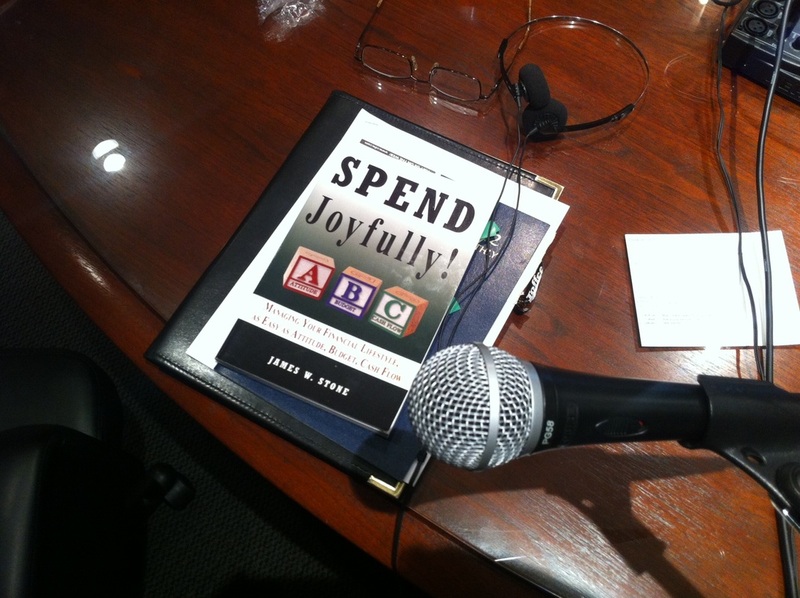 James W. Stone is the author of the book Spend Joyfully. Check out his book! He lowered the price to $1.99 just for us! 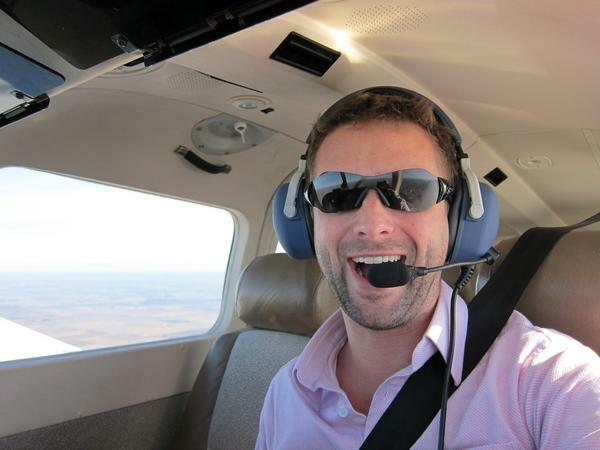 He was on SimpleFlight Radio talking about how he can afford his "bucket list item" (Getting his pilots license). James will give advice to other aviators on how to be able to afford and fund their aviation budget using principals in his book. James left us some great materials to help us be able to afford flying better! Download his cash flow and budgeting spread sheet right now. Then add your flying budget and start flying!!! James wasn't thinking about flying entirely while he was writing this book. Now that we have read it at Simple Flight. We want ALL pilots to read this and get a better handle on how to learn how to budget to fly and achieve your aviation dreams!